No one is perfect. We all make mistakes knowingly and unknowingly. 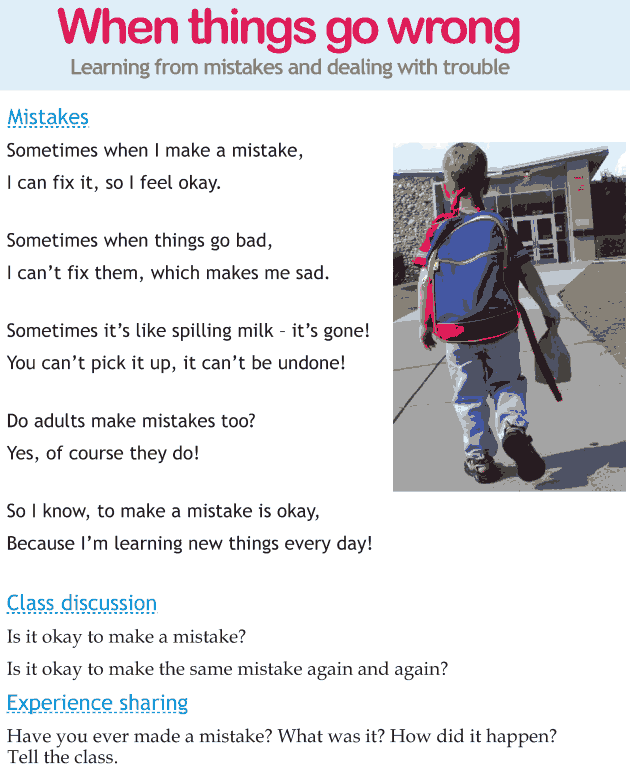 The purpose of this lesson is to make us learn from our mistakes. It teaches us to deal with our problems and be positive.